l Schiefley settled into the small Lake Erie town of Sandusky, Ohio in 1928 where he remained for over a quarter of a century. Sandusky is located at the head of Sandusky Bay, at the south end of Lake Erie. Schiefley's shop was located in his home at 1513 Pearl Street. Having his tattoo business at the same location for all those years, together with the fresh water sailors passing through Sandusky wanting to get inked, helped build his good business. Schiefley was a well-traveled tattooist; photographs in the Archive's collection show him visiting tattoo shops around the world. He corresponded with and visited Spaulding & Rogers when they were in Jacksonville, North Carolina and of course got some of the great Coleman style tattooing. As a matter of fact, Huck Spaulding did Schiefley's back piece. 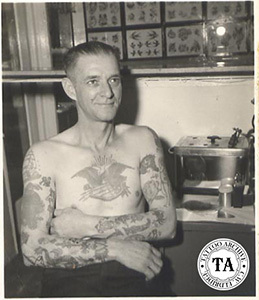 In 1957 Al Schiefley along with his old time friend Milton Zeis, traveled to Bristol, England and were the guests of honor at the Bristol Tattoo Club's annual convention. While in Bristol Schiefley was tattooed by Les Skuse the President of the Bristol Tattoo Club, and Rich Mingins, a well respected London tattooist of that era. 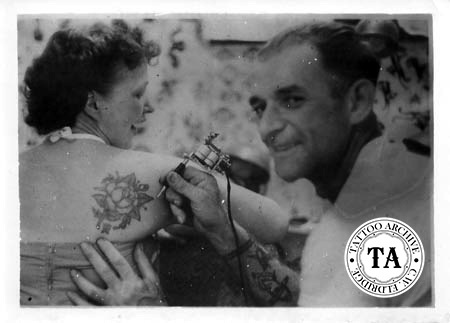 In addition to the Bristol Tattoo Club, there were at least two other major tattoo clubs active during the 1950s. 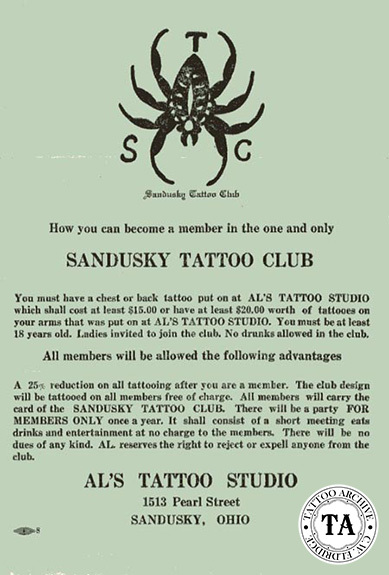 One was the International Tattoo Club founded by Milton Zeis, and the other was the Sandusky Tattoo Club, founded by Al Schiefley. It is no coincidence that these clubs arrived on the scene at the same time. When you look at the promotional fliers for these clubs you can see the similarity, many of the same phrases and words are used throughout. Al Schiefley can be seen working in Kobel photographs #670, 671, and 672. Along with these photographs many paper collectibles from the era of Al Schiefley and the Sandusky Tattoo Club are in circulation today and are much sought after by collectors. Al Schiefley died from a heart attack in 1973.